Laurie is Inbound Marketing Manager at AppTweak. Passionate about new technologies and apps, she loves finding new ideas to spread valuable content on App Store Optimization and App Marketing. 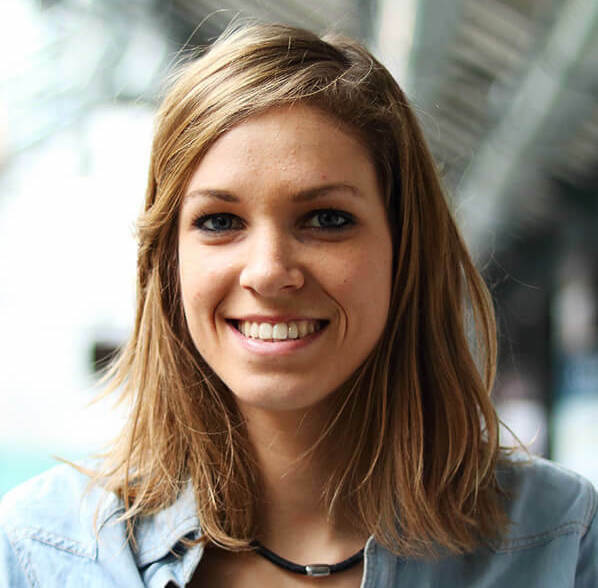 She’s in charge of the company’s blog, crafting articles helping users to increase their app downloads and rankings. She’s also at the head of the ASO University, teaching App Store Optimization basics through video tutorials, all available for free on the AppTweak blog. So, we spoke with AppTweak Laurie to get her top tactics for planning and executing App store optimization. 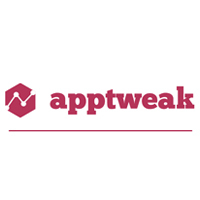 AppTweak is an App Store Optimization (ASO) platform focused on data accuracy and ease of use, empowering app developers and marketers to improve their app store visibility, increase app rankings and drive organic downloads. The platform enables users to audit, optimize and monitor their app’s performance in 70+ countries over time. Solutions include: Personalized and Recommended Actions; Competition Analysis; App Analytics; Reviews Analysis; Multilingual Keyword Tool (10+ languages); Consulting Services; and an API access. Headquartered in Brussels, AppTweak counts over 1000 accounts in over 40 countries, including Universal Music, Air France, Babbel, LinkedIn, Etsy, Shopify, Chess.com, StepStone, Rocket Internet, GoEuro, Practo, S4M and more. Still it is advisable to go with generic keywords for app because most of the developers are preferring Long Tail keywords nowadays? It is essential to use single keywords in the iTunes Connect keyword field (comma separated). This does not mean that the focus should be on single terms. Indeed, long tail keywords and keyphrases are nowadays more interesting to target. It is recommended to try ranking high on less popular keywords rather than ranking low on very popular search terms. The iOS algorithm will take the chosen single keywords and combine them all together, creating a bigger set of keywords for which the app would be indexed. On Google Play, it is recommended to include a set of about 10 targeted keywords in the app description and to repeat them about 5 times, each time combined with different terms (before and after the chosen keywords) in order to create multiple keyphrases and long tail keywords. When doing keyword optimization, it tends to feel that each change you make is difficult to measure with the except of overall impressions? Keywords performance tracking can indeed be challenging. Hopefully some tools like AppTweak can help there. What is important to measure is the keyword ranking evolution over time and especially before/after a new keywords update. It is also very important to compare app keywords rankings with similar apps and competitors. Outranking competitors on newly targeted keywords is a powerful success indicator. Overall impressions do inform on the success of a new set of keywords, as impression rate will naturally increase if the newly selected keywords or keyphrases are popular and if the app ranks well on them. Another way to measure keywords performance is to check the percentage of organic downloads that they bring to the app. Here again, AppTweak can be helpful as it provides with a breakdown of the top 15 keywords bringing the most downloads to any app. Interesting case studies to share with our readers? For-sale.co.uk allows people to buy and sell second-hand goods. Their app has shown some very positive results with ASO and localization. After a soft launch in France, the company founders noticed some major interest in the U.K. They decided to localize their app in order to take advantage of this opportunity. Thanks to AppTweak multilingual keyword tool, they were able to define an effective localization strategy in English and leveraged their potential in the U.K. The company say a 33 percent increase in app installs, a 16 percent increase in the number of sessions and a 14 percent increase in active devices. As a second example, Gabe from Incipia used AppTweak keyword research features to optimize one of their client’s app title and keywords. They noticed that the client’s impression volume increased by 200% day over day. Plus, their sales increased drastically, setting records, week after week since the change. We all know that ASO is the long term process, but what’s the threshold period that you would like to suggest the customers to wait for the next experiment? We always suggest to make an ASO update (especially title and keywords) every 4 – 6 weeks. The point is to replace keywords for which the app is not ranking well by new ones, in order to create new opportunities. It is also important to show the algorithm that the app is active and alive (freshness factor). It is however not recommended to make updates too frequently, as the algorithm would not have the time to index the keywords properly, and therefore, will not rank the app effectively. Final tip: ASO updates must not be done alone. They should rather be implemented in an overall strategy along with bug fixing and/or new features addition or updates. This entry was posted in App Store Optimization, Interviews and tagged app keywords, app store optimization, ASO, aso strategies, interview, strategy. Bookmark the permalink.